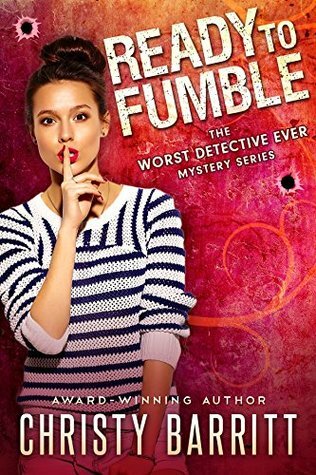 I’m working on catching up with Christy Barritt’s newest series (The Worst Detective Ever) but while I’m doing that, she went and released a fun supplement to the series, so I’m doubling up on the reviews today! When her marriage falls apart, her finances dwindle to nothing, and her father disappears, Joey finds herself on the Outer Banks of North Carolina, trying to piece her life back together away from the limelight. A woman finds Raven—er, Joey—and insists on hiring her fictional counterpart to find a missing boyfriend. When someone begins staging crime scenes to match an episode of Relentless, Joey has no choice but to get involved. Joey’s bumbling sleuthing abilities have her butting heads with Detective Jackson Sullivan and kindling sparks with thrill-seeking neighbor Zane Oakley. Can Joey channel her inner Raven and unearth whodunit before she ends up totally done in? And where is her father anyway? Can she handle fame, or is disappearing into obscurity the wiser option? An ex-CIA operative. A top-secret mission. Danger that lurks at every turn. Raven Remington is facing her most challenging mission: protecting the man who may have killed her sister. 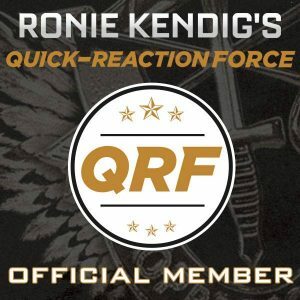 The former spy is still trying to integrate into life as a civilian and figure out who to trust. With each passing day, the task becomes more difficult. Can Raven figure out who is trying to assassinate the senator . . . or will surprises hidden just below the surface turn things upside down? 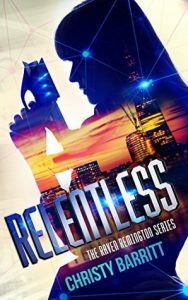 *Relentless is based on the fictional TV show starring Hollywood starlet Joey Darling from The Worst Detective Ever mystery series. 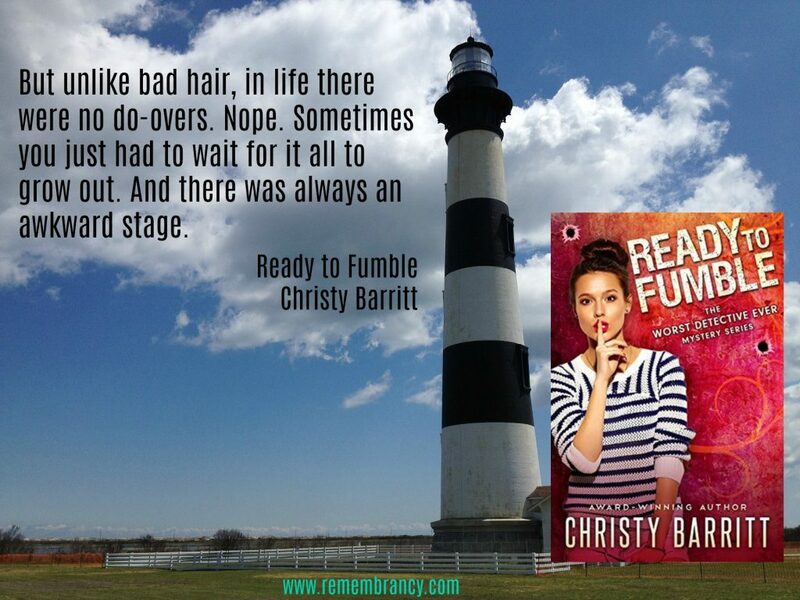 Fair warning: If you have not yet read a book by Christy Barritt, prepare to carve out a good chunk of time. You’re going to need it! She’s a prolific author who gives her fans plenty of new reads in a year (about one a month). Case in point, I just finished the first book in Barritt’s newest series (The Worst Detective Ever) and, as of today, there are five more before I’m caught up. Now I need a couple weeks off work to binge read! When Joey Darling moves to The Outer Banks in North Carolina, she’s intent on doing a little investigating to find out what happened to him. After all, he’s not the type of person to disappear without a word. The problem? Joey plays an investigator on a popular television show, but she doesn’t quite know where to start when it comes to the real thing. A fan believing she is Raven Remington, the intelligent and no-nonsense TV detective, and hires her to locate her missing boyfriend. As Joey stumbles through the missing persons investigation with her too-good-looking-for-anyone’s-good neighbor and the handsome police detective who seems to hate her—probably because she keeps showing up at his crime scenes—someone decides it’s a good time to taunt her. With a plethora of suspects, and adoring public, hidden secrets, and recreated scenes from Joey’s show, Relentless, will she solve the case in time? Or will she fumble her first investigation? A fantastic introduction to the seaside town of Nag’s head, its citizens, and Joey Darling herself, Ready to Fumble is another fantastic read from Barritt. Now I’m on to book two! Someone get Christy Barritt this TV series deal now! Fans of The Worst Detective Ever series get a treat that includes a peek into the character Joey Darling plays on television in Relentless. When Raven Remington is assigned a case with personal ties, the stakes rise. 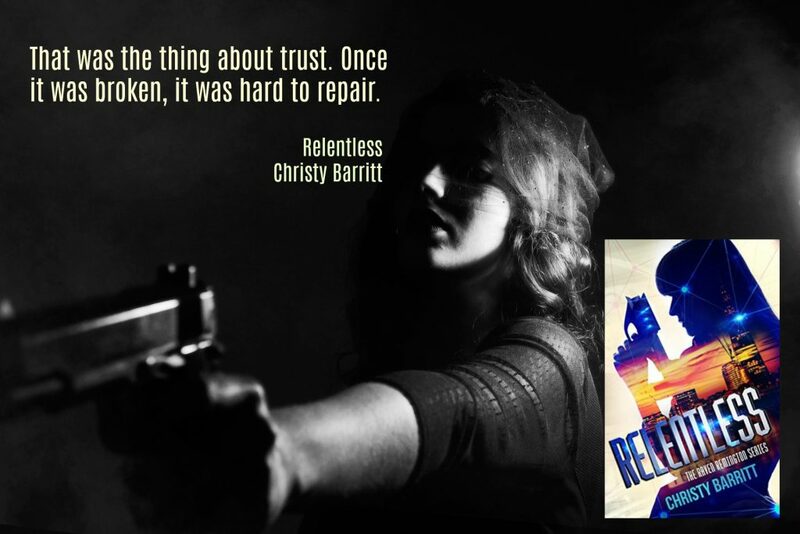 With twists I didn’t see coming, lots of action, and a couple of guys-with-potential (funny how this mirrors Joey’s real life), Relentless is a page-turner. And much like today’s shows, one story thread was solved while more than one were left dangling. It works because I’ll keep reading these stories in order to discover the truth.